Daily dilemmas for young children. "What would you do?" 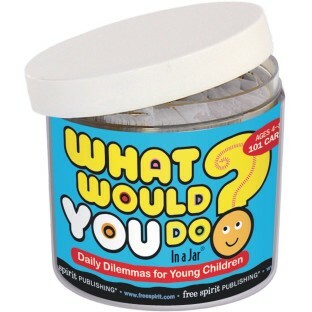 scenarios help preschool and primary-age kids develop decision-making skills, all contained in a go-anywhere, easy-to-use jar. Great for getting groups to talk! When useing with younger kids the questions need to be changed up a but but still worked great for my 1st graders.